Daken is out to prove to the world he’s the best there is at what he does, one country at a time – and he’s starting with Madripoor! But will the most dangerous men and women in the world simply topple where they stand, or will Daken find the tables turned – and his neck in a noose? Then, it’s the crossover you’ve been waiting for, as Daken and X-23 join forces to hunt down Malcolm Colcord, the man responsible for countless reincarnations of the Weapon X Project – including one right here in Madripoor! But what is Daken’s motivation? 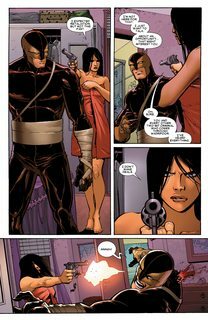 Does he want to stop Colcord from finally re-creating Wolverine, Daken’s father, or does he simply want a piece of the action?? 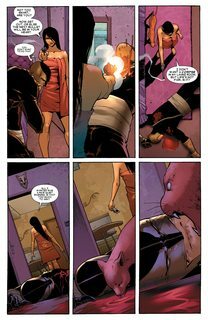 Collecting DAKEN: DARK WOLVERINE #5-9, X-23 (2010) #7-9 and material from WOLVERINE: ROAD TO HELL.